Television, radio, internet, billboards, newspapers, magazines and there are so many types of advertising you can think of. Advertising is the right way to reach the right audience. You can give your message, campaign or information in the most accurate way. Advertising is not just to promote your product. Your ad product, service, campaign, message to the appropriate audience. Taxis, buses, metros, minibuses, special vehicles, trucks, walls, poles, you have seen a lot of ads. All of them are a way to reach out to the relevant people. But as technology evolves, ad serving methods and forms continue to change. Instead of classical signboards, billboards and newspaper ads, it has received display technologies to reach the target audience more accurately. What is this technology, how to advertise? You probable know what we are talking about. 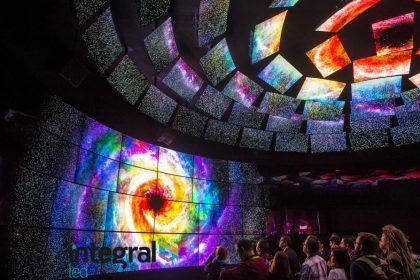 Ensure that the LED display technology reaches the target audience more accurately and maintains the quality of being an environmentally friendly product. How environmentally friendly? As you know, paper and similar products are widely used in outdoor advertising. Due to changing campaigns and messages every year, a lot of messages are thrown away. With the LED display technology, you can change the message you want. Importance of LED Displays in Ad Presentation! LED screens can be easily installed both indoors and outdoors. Moreover, it can vary according to size. You can use LED screens in any places you want. You can use it in metros, buses, taxis, minibuses, shopping centers, buildings, stadiums, football carpet fields and many other areas you can think of. LED display technology can be used especially in crowded areas. The use of LED displays in outdoor means reaching many people. LED display technology that is unaffected by sunlight, rain, snow, full, and compromising image quality; where you can post the desired message, video, brand, product and announcement. Due to the feature of LED lights, it is a kind of display which provides a high quality image and most importantly it can be made in desired sizes. It can also be used as a TV if desired. 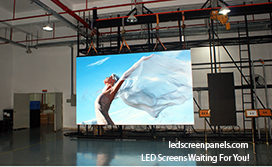 The image quality of LED screens that can be controlled remotely and installed in the desired area is very high. Meanwhile, LED screens are used as information board in many countries. These screens, which provide high performance with low energy, are indispensable for stadiums. LED screens, where players are exchanged in stadiums and gyms, showing foul and goal replays, provide a very clear view in daylight. Resolutions can be adjusted according to the light conditions. Outdoor advertising companies, municipalities, political parties, concert and event organizers benefit from LED display technology. In the concerts and crowded rally squares, LED screens are used to show people who do not fit in the indoor halls or because they do not see the stage part clearly. LED screens in some technology companies and stores can change their messages and campaigns with various systems instantly in all branches.